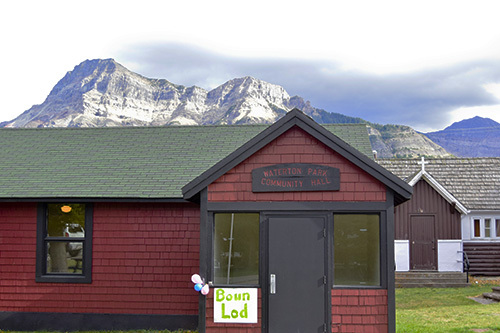 September 19 turned out to be a beautiful, albeit breezy, fall day in Waterton. As guests began to arrive, the potluck table overflowed with an amazing assortment of appetizers, main courses, and deserts. Naturally, the bounty of carefully tended gardens was on full display. Most of the folks in attendance knew Boun Lod’s story, and had been supporters of Boun Lod and the Boun Lod fund since the very beginning. After supper, Gordon gave a brief update about Boun Lod’s progress, and answered numerous questions about how she was doing. Everyone was pleased to hear that Boun Lod was doing well, and amazed to see how much she’d grown and changed since 2008. The rest of the evening was given over to dancing and socializing as friends and neighbours caught up after a busy summer. People were very generous with their donations, and the Boun Lod fund received a healthy boost. Many thanks go to Dave and Linde for hosting this event, and to everyone who donated so generously.